The National Women’s Soccer League released a statement on Wednesday saying that this weekend’s semifinal between the Chicago Red Stars and North Carolina Courage is in doubt. The game is scheduled to be played just outside the eye of Hurricane Florence which is expected to make landfall on the coast of the Carolinas by the end of the week. The National Women’s Soccer League (NWSL), in conjunction with the North Carolina Courage and Chicago Red Stars, continue to monitor the changing forecast of Hurricane Florence as it relates to the potential of the NC Courage’s NWSL Semifinal home playoff game being played as scheduled on Sunday, Sept. 16, at 3 p.m. ET. The league and teams continue to explore all options and scenarios that would ultimately permit the match to be played in front of the NC Courage home fans. 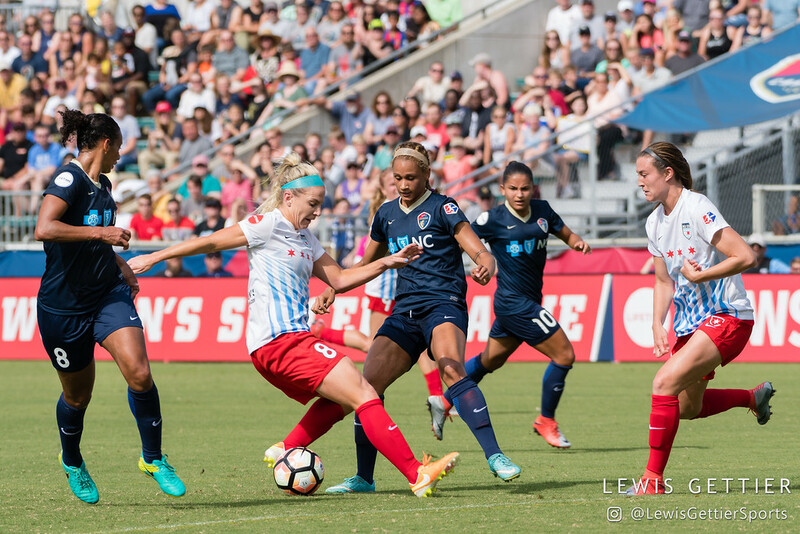 The safety of the fans, players and staff, as well as the ability for the Red Stars to travel to North Carolina safely, remains the top priority for NWSL. An announcement as to the status of the match will be made as soon as reasonably possible. The fuzzy feelings surrounding Sky Blue FC ending their season on a winning note appear to have worn off. On Wednesday, several members of the team’s Supporter Group, Cloud 9 tweeted, seemingly in concert with each other, that they were not going to renew their season tickets until they saw action taken by the team in light of poor working conditions within the team. I’m finding it difficult to justify renewing my @SkyBlueFC season tickets for next year. There have been no signs of progress thus far, which in turn gives me little hope that things will improve any time soon. Would love to renew my season tickets for @SkyBlueFC, but the fact that the players don’t have showers and Tony Novo still has a job makes it hard to commit to them.